On Monday 14th April, US Secretary of State, Dr Rice delivered an important speech on Afghanistan and the region. Due to its significance its text is posted here. SECRETARY RICE: Thank you very much. Thank you, General Lorenz, for that really wonderful introduction. I want to thank very much the members of the Board of Governors who are here. Itâ€™s my great privilege to accept the first ever honorary degree from Air University. I want to thank you too, General, for your leadership of this great institution, for adapting the education of the U.S. Air Force to the challenges of the 21st century. From the Wright brothers to the creation of the Air Corps Tactical School, the River Region of Alabama has been at the forefront of aeronautical innovation and training for nearly one century. Today, Air University is the intellectual and leadership center of the Air Force. And as an educator myself, I want you to know that I really value the mission of this institution. I also know what good work the men and women of Air University do for this broader community. You make Montgomery proud, as Mayor Bright would be the first to acknowledge and thank you, Mayor, for being here. And then when a tornado left hundreds of people homeless in Prattville this February, Air University was there to help, and I know Mayor Byard can attest to that and thank you, Mayor, for being here. And when Hurricane Katrina devastated our Gulf Coast, Air University was critical to the relief effort. So, as a daughter of Alabama, I want to thank you. General Lorenz, General Trey Obering, Secretary Beth Chapman, Dr. Bruce Murphy, distinguished guests, faculty, again, members of the Board of Visitors, ladies and gentlemen, Iâ€™d like to speak with you today about one of our most important missions and, indeed, one of our strategic opportunities, and thatâ€™s Afghanistan. But I want to thank all of you by helping to make possible what we are doing there. Much attention is paid to what is happening on the ground in Afghanistan and, of course, in Iraq. But we can never forget that our gains on the ground are possible because of our superiority in the sky. With our soldiers, sailors, and Marines, many of you, both active duty and reservists, have deployed to the Afghanistan theater, often for multiple tours. And we are winning in Afghanistan because of you. Our Air Force is essential to that difficult form of warfare that we have had to learn, or perhaps I should say relearn, in recent years. We tend to think of counterinsurgency warfare as a ground-based activity. But again, our entire effort on the ground depends on the lift, precision strike, and reconnaissance that our Air Force provides. Furthermore, our Air Force is doing things to support our mission today that few people would have imagined in 2001. In Afghanistan, for example, six American airmen are leading Provincial Reconstruction Teams. And many more are on the ground helping to do things like build roads and guard facilities and support local agriculture. You have been called to adapt to the demands of counterinsurgency. And I must say, the State Department has been called to adapt too. And itâ€™s been hard. Weâ€™ve had to work not only to engage with states, but to help post-conflict societies build states. Our diplomats and development workers have had to use â€“ have had to get used to new and dangerous operating environments far beyond our embassy walls. American civilians are learning how to be effective partners to our men and women in uniform, and you to us. In recent years, America has developed a counterinsurgency doctrine that fuses the tools of war with the instruments of peace to help countries in conflict shape a future of freedom and opportunity for themselves. Our armed forces can defeat any adversary, but our civilian agencies must shape the political and economic context in which our gains will endure. Weâ€™re gaining the field experience to work with you to do this right. There has been much talk, of late, about how we are doing in Afghanistan. Some of it has been positive, some of it has not. Today, Iâ€™d like to offer you my assessment. We now have a new strategic opportunity in Afghanistan, one that is a product of lessons learned from both successes and setbacks. So here is why we will win in Afghanistan. Since 2001, there has been much that has been good and successful. First, and most importantly, we have seen that whenever the Afghan people have an opportunity to choose a course for their nation, they have voted overwhelmingly, and often at great personal risk and sacrifice, for a future of democracy and modernity and liberty under law, not for the medieval despotism of the Taliban. 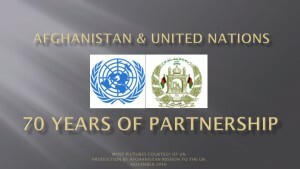 And we continue to have a strong partner in the elected government of President Karzai. To support our Afghan partners, NATO is leading an International Assistance Force of 40 nations. The Afghan National Army, which we are training and equipping, is now at the forefront of many combat operations alongside international forces. Twenty-six Provincial Reconstruction Teams, including 14 led by allies, are helping our Afghan partners to turn improving security into better governance and development. 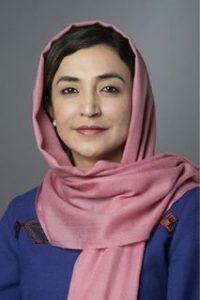 The legitimate Afghan economy is now growing faster than any other in Central and South Asia, and it is benefiting more and more of Afghanistanâ€™s citizens. Americaâ€™s commitment to Afghanistan is also bipartisan. Congress has played a leadership role in funding U.S. policy there. And thanks to the generosity of the American people, the United States has provided nearly $23 billion in assistance to Afghanistan, with our allies providing another 18 billion. This assistance has helped over 15 â€“ over 5 million Afghan refugees to return to their homes. It is supporting the construction of critical infrastructure, like the national ring road, which is nearly 75 percent complete. And it is enabling 5 million Afghan children to get an education, including, for the first time ever, 1.5 million girls. Our mission in Afghanistan has led to substantial progress. But at times, our many good programs have amounted to less than the sum of their parts. We have grappled with a lack of coherence among a broad coalition of international partners with disparate capabilities. This partly reflects a learning curve, as we have re-engaged a nation that America and our allies had neglected for too long: a country of inhospitable terrain, many ungoverned spaces, and a long history of poverty, misrule, and weak civilian institutions and civil war. Indeed, much of the work in Afghanistan could be more properly described not as reconstruction, but as construction. This challenge has been made more difficult too by a determined enemy, the Taliban that has regrouped after its initial defeat, and has now turned to the tactics of pure terror to further its intolerant goals. The Taliban has benefited from regional turmoil on Afghanistanâ€™s borders. And this has led many in Afghanistan and the region, some even in our alliance, maybe even some here at home in America, to question whether our coalition has what it takes to support Afghanistanâ€™s long-term success. In recent months, our Administration has looked closely at our policy in Afghanistan, both what weâ€™re doing well, and what we can and should be doing better. We have studied the independent reports that have been issued. I went to Afghanistan myself in February, both to Kabul and out to Kandahar, to see the situation on the ground. And the President and I have recently conferred with our allies, at the NATO summit in Bucharest. I am confident that we are now laying the foundation for a long-term commitment to the success of Afghanistan and this region. This commitment must be built on a bipartisan consensus that unites our Administration and the Congress today, but also future administrations and future congresses. This commitment must also be built on an international consensus among our allies and our Afghan partners. We must all understand and explain to our people that Afghanistan is not a peacekeeping operation. It is a hard counterinsurgency fight and the stakes could not be higher. The United States and the entire free world have a vital interest in the victory of our Afghan partners over the Taliban, and the consolidation and empowerment of an effective democratic state. Successes in Afghanistan will roll back the drug trade in a country that produces 93 percent of the worldâ€™s opium and a great deal of its heroin. Successes in Afghanistan will advance our broader regional interests in combating violent extremism, resisting the destabilizing behavior of Iran, and anchoring political and economic liberty in South and Central Asia. And success in Afghanistan is an important test for the credibility of NATO. Let no one forget, Afghanistan is a mission of necessity, not a mission of choice. That country must never again become a haven for the kind of terrorists who attacked America on September 11th, who have attacked our friends and our allies repeatedly, and who seek to do us all even greater harm. We cannot afford, either, to think whether we will choose to succeed in Afghanistan or succeed in Iraq. That is a false choice. In both countries, the stakes are too high, the potential benefits of success too great, and the real costs of failure too catastrophic for us to think that these missions are zero terms. The real choice, and it is a choice befitting a great people, a great power, and a great democracy, is how to forge long-term commitment to succeed both in Afghanistan and in Iraq. This goal is not only essential, it is attainable. As in Iraq, our challenges in Afghanistan do not stem from a traditionally strong enemy. The Taliban does not offer a political vision that most Afghans embrace when free to choose. The Talibanâ€™s theory of victory is not to prevail on the battlefield, or to win hearts and minds. It is simply to undermine the elected Afghan government, fracture the international coalition, and outlast us. Our theory of victory, and the counterinsurgency strategy that we are pursuing to achieve it, is far superior to the designs of our enemy. We can defeat the Taliban on the battlefield. But we will render the Taliban obsolete by supporting an effective, democratic Afghan state that can meet the needs of its people. Where we have been able to do this, for instance, in the east of Afghanistan, the Taliban is in retreat. Earlier this month in Bucharest, we and our NATO allies renewed our commitment to Afghanistan. President Karzai announced that the Afghan National Army will assume responsibility for security in Kabul by August, and we are supporting our Afghan partners. The United States is deploying roughly 300 â€“ 3,500 additional Marines. France is sending a battalion. This has enabled Canada, whose service in Afghanistan is an inspiration for NATO, to extend its deployment through 2011. Our allies pledged to deploy additional forces, with some deciding to enter conflict zones in the south, where we are especially grateful to Canada, Britain, Denmark, the Netherlands, and Australia for shouldering most of the hardest fighting. We will continue to press our allies to lift the caveats on their military forces. The international community is also taking new steps to increase the coherence of our assistance effort in Afghanistan, including appointing Kai Eide as the United Nations Secretary Generalâ€™s Special Representative. Our strategy directs resources toward the central pillars of counterinsurgency: protecting the people from the enemy by strengthening Afghan security institutions, connecting people to their government by improving governance and rule of law, and fueling economic and social opportunity through reconstruction and development. On the security front, Afghans are eager to provide more of their own security, and our plan supports that. We and our allies must step up our efforts to train and equip the national army of Afghanistan. But we must also increase our efforts to help the Afghan National Police become a more professional force that can enforce the law and police the nationâ€™s now porous borders. At the same time, we and our allies are helping the Afghan Government to marry these security gains with good governance and economic development. Success depends on expanding the good work of our Provincial Reconstruction Teams. These teams lead our growing effort to help Afghan leaders, both national and local, to promote the rule of law, to strengthen their ministries, to deliver essential services like health and education to the people, and to lay a foundation for long-term private investment. Just last week, I had the pleasure of meeting with eight Afghan governors who play an important role in these efforts. These are local leaders who are beginning to give Afghan â€“ Afghanistanâ€™s government the means to deliver goods and services more directly to the people. Within our counterinsurgency strategy, we and our Afghan partners must also expand our counternarcotics efforts. This has been one of the most difficult and vexing problems and, frankly, weâ€™ve not found all the right answers. Yet, it is just as urgent as the fight against the insurgency, because the two are inextricably linked. There is an erroneous view that poppy in Afghanistan is mostly grown by poor farmers struggling to earn a living. In fact, over 70 percent of Afghanistanâ€™s poppy will likely be grown this year in the Talibanâ€™s stronghold, on vast narco-farms that benefit our enemies. These drug kingpins do not need alternative livelihoods; they need to be brought to justice. We must step up our interdiction, eradication, and law enforcement campaign while helping those Afghan farmers who truly do need adjusting. In places where security and political will exist, this strategy has shown some promise. Two years ago, only six of Afghanistanâ€™s 34 provinces were nearly or completely poppy-free. This year, it will likely be 26. In everything we do, we must encourage the Afghan people, empower the Afghan Government, bolster our allies, and demoralize our enemies. But success is only possible if Afghan ownership grows over time and with greater integrity. Afghanistanâ€™s democracy is already under attack from external enemies. It cannot allow corruption to undermine democracy from within. Institutions like the Independent Directorate for Local Governance are a good start and we are increasing our support for Afghan efforts to create a fair and functional system of justice. Addressing Afghanistanâ€™s regional context is also crucial to success. A new strategic opportunity comes from the transition to democracy that is underway in Pakistan, a nation that, like Afghanistan, America had too long neglected. Pakistan has been an ally in the war on terror since September 11th and yes, this has necessitated a strong program of military assistance and cooperation. After 2001, we supported President Musharrafâ€™s efforts to chart a moderate, modern path for that nation. Our engagement, however, has always been multidimensional. Since 2005, America has invested $300 million each year to help the Pakistani people by supporting health programs, educational reform, as well as the building of civil society. And when this progress was put at risk last November, we pushed hard, publicly and privately, for a return to civilian rule, an end to the state of emergency, and free and fair elections in February that were open to all of Pakistanâ€™s leaders. To be sure, terrorists exacted a high toll in innocent life trying to stop this election, including the assassination of Benazir Bhutto. But not only did their violent efforts fail to disrupt the voting and plunge the country into chaos; the Pakistani people dealt the forces of political extremism a crushing defeat at the polls, including in the frontier province. Indeed, the election dispelled the myth of rising extremism in Pakistani politics, proving that a moderate, democratic center is the countryâ€™s dominant political force. We salute the Pakistani people for courageously restoring their democracy. Successful American engagement with a democratic Pakistan is vital to our national security and to the lasting success of South and Central Asia. In Pakistan, as in Afghanistan, we must help a democratic partner to meet the needs of its people and eliminate the conditions that feed continuing extremism. We will greatly expand our support for the efforts of Pakistani civilians to strengthen democratic institutions and the rule of law and to reinforce the foundation of every free society: good governance, judicial independence, a free media, health and education, good jobs and social justice. We will support Pakistanâ€™s efforts to secure all of its people, and to wage a counterinsurgency fight against the violent people who still threaten Pakistanâ€™s future. Finally, the United States will support Pakistanâ€™s efforts to develop fruitful links with its neighbors and with the community of responsible nations. This includes intensified Pakistani-Afghan dialogue on regional security, continued efforts to reduce tensions and reconcile with India, and closer economic integration with the nations of South and Central Asia. We have a unique opportunity to foster the lasting security of a troubled region, a region that is of vital interest to our nation. From our partnerships with the newly democratic Pakistan and a free Afghanistan that is fighting the Taliban, not governed by it, to our growing strategic partnership with India and our improved relationships all the way across South and Central Asia, the United States is in a dramatically different and better position in this region than we were in 2001. Though we and our friends face savage and determined enemies, I am confident that we will prevail, not by force of arms alone, but by the power and the promise of the values we share: the conviction that parents everywhere want their children to grow up in dignity, in liberty, and with limitless horizons. Success in Afghanistan and Pakistan will demonstrate that these values are more compelling than the spiritual poverty of suicide bombing. The journey ahead will be difficult and often winding. Most certainly, the path toward democracy is never a straight line. We have hard work to do. But I am confident that we will succeed because we have done hard work before. I was fortunate to be the White House Soviet Specialist from 1989 to 1991 at the end of the Cold War. It doesnâ€™t get much better than that. In fact, those were very heady days. But as we went through those extraordinary days, it was important to stop and to pay homage and to think about those who had set up the possibilities and laid the foundation for the victory of our values at the end of the Cold War. In fact, when I would go to the White House, and now, when I go to the State Department, I think about the people in 1945, in 1946, and 1947 who built a firm foundation for democracy on the ruins of Europe and Asia at the end of World War II. I think about people who faced a situation in 1946 in which the Italian Communists won 46 percent of the vote, French Communists 45 percent of the vote. I think about those people who faced a 1947 in which Europe was still starving, 2 million Europeans still starving; that in 1947, saw civil war in Greece and civil conflict in Turkey; that in 1948, saw what we all thought would be the permanent division of Germany with the Berlin crisis; the Czechoslovak coup in which the Soviet Union snuffed out the last of liberty in Eastern Europe; in 1949, a Soviet Union that exploded a nuclear device five years ahead of schedule; and when the Chinese Communists won, only to have war break out on the Korean Peninsula in 1950. Those were not small tactical setbacks. Those were huge strategic defeats for the victory of democracy and Western values in Europe and Asia. But somehow, someway, the people who led that fight, Marshall and Truman and Kennan and Acheson â€“ somehow, everyday, they got up and they stayed true to their values and they believed in the power of our principles. And that is what permitted us to see, in 1989, in 1990 and â€™91 the overcoming of a country 5 million men strong, 30,000 nuclear warheads, and spanning 12 different time zones without firing a shot. That is the spirit with which we must meet this new historic transition and transformation because challenges like the ones that we faced at the end of World War II and the ones that we face now can only be overcome with optimism about the power of our principles and our values. And so, as I sat at NATO next to permanent representatives from Poland and the Czech Republic and Hungary and the Baltic states in Latvia in 2006, I thought, had someone said there will be a NATO summit in Latvia in 2006, in 1946, people would have thought that they had lost their minds. And so, I know that some Secretary of State will stand here in 10 years or 20 or 30, but most certainly, will stand here to say, of course the people of Iraq have triumphed in democracy; of course, the people of Afghanistan have triumphed in democracy. What else would you expect? Because the power of our principles is that it makes those things that one day seemed impossible seem, after, to have been inevitable. Thank you very much and God bless you. Air University students and faculty, if you have a question for Secretary Rice, please make your way to one of the microphones — there are three on each side — and to begin with, I will recognize you in turn. Prior to asking a question, please identify yourself and your college, your school. And with that, weâ€™ll take advantage of this time. Please make your way to the microphones and letâ€™s begin. Thank you. Over here to the left. QUESTION: Good morning, Ms. Rice. We have the honor to have you with us today. Iâ€™m Lieutenant Colonel Alenazi from Saudi Arabia. My question is youâ€™ve been traveling a lot to the Middle East all this time. Could you give us an idea of to what level has the peace process reaches, and what is the King Abdullah — have the influence in that process? SECRETARY RICE: Yes, thank you very much. Youâ€™d like a trip report, is that right, on my trips to the Middle East? (Laughter.) All right. Yes, we launched — the President launched in November of this past year what has been called the Annapolis process. And the Annapolis process is an effort to help the Palestinians and the Israelis end their conflict by getting the vision of the Palestinian state, the details, the outline of the Palestinian state, finally agreed between Israelis and Palestinians. And thereâ€™s a very important reason to do that. Of course, of course, it would bring peace, and thatâ€™s a very important thing. But also, the moderate, tolerant, peace-loving people of the Palestinian territories and indeed of the Middle East in general need to know that there is an alternative to extremism. And the state, the Palestinian state, provides that alternative. Now, the Annapolis process has three tracks. On the one hand, we are trying to help the Palestinian people simply have a better life through the ability to improve movement and access so that Palestinian businesses can start and the economic life of the people can grow. Secondly, we are trying to make progress — the Palestinians and the Israelis several years ago undertook certain obligations on something called the Roadmap, which are a set of parallel obligations to move them toward peace. And you might want to know that one of the Air Forceâ€™s own, General — Lieutenant General Will Fraser, is the monitor for that effort and doing a very fine job. And the third is the peace negotiations themselves. And I can tell you the following: They are talking very, very seriously about the hardest issues, about borders, about refugees, about how theyâ€™re going to bring into being two states living side by side in peace and security. Now, one reason that you hear very little about what theyâ€™re actually talking about in the negotiations is theyâ€™ve made a very wise decision that theyâ€™re not going to go to the press every day to say whether theyâ€™re making progress. That says to me theyâ€™re really serious. I sat with them for two and a half hours. Itâ€™s going to be hard. If anyone had had an easy answer to this, they would have solved it a long time ago. But they are serious about it, and it is the Presidentâ€™s hope and the intention that there would be a state in being, or a state in outline, by the end of this coming year. We think it is time. Itâ€™s been too long. The Palestinian people need a state. Now, King Abdullah of Saudi Arabia has been a very strong supporter of the Annapolis process. Prince Saud, the Foreign Minister of Saudi Arabia attended. It was the first time that Saudi Arabia had actually attended under its own flag at a peace conference, so that was very exciting. And I believe that King Abdullah of Saudi Arabia, along with President Mubarak of Egypt and King Abdullah of Jordan, are perhaps the most influential Arabs in helping to give the kind of support to both Abu Mazen, the President of the Palestinian Authority, and to the Israelis to go ahead and make peace. And so weâ€™ve been in very close contact. The President visited Saudi Arabia very recently, talked to the King a great deal about the peace process. And we, this time, are going to make certain that weâ€™ve worked with the Arab states so that they can be supportive if the Palestinians and the Israelis are able to come to an agreement. GENERAL LORENZ: Letâ€™s go to the second mike on this side. GENERAL LORENZ: Hang on a second. Remember the rules: Identify yourself and your school, please. QUESTION: Major Courier from Air Command and Staff College. The cooperation and friendship between yourself and Secretary Gates is refreshing and important to the unity of effort between the Department of State and the Department of Defense in addressing regional conflicts. I was wondering if you could please discuss specifically the new Office of Coordinator of Reconstruction and Stabilization and our nation-building effort. SECRETARY RICE: Thank you very much. Yes, first of all, let me say that Bob Gates and I have a very close friendship that goes back a lot of years. We served together. He was the Deputy National Security Advisor when I was special assistant on that NSC staff of Brent Scowcroft and George H.W. Bush that was fortunate enough to be around at the end of the Cold War. So we had a great friendship and we have a lot of good stories and we enjoy being together. And we recognize that we have a very strong obligation to have the Department of Defense, the Department of State, the uniformed military, be able to perform well on really what is a continuum between war and peace. We tend to think in our theory of war and then peace, so you win the war and then you go and build the institutions of peace. But of course, thatâ€™s not how we are fighting and winning any longer. Weâ€™re fighting on a continuum. Counterinsurgency really means that you have go to into an area, you have to clear it of the enemy, then you have to hold the area with police forces, most appropriately police forces of the home country, which means you have to build adequate police forces, and then you go in and you do reconstruction and development right there where youâ€™ve cleared so that people donâ€™t turn back to the terrorists. Because the best â€“ by far, the best weapon that the terrorists have is when they can imbed in a village or in a community and have the local people refuse to turn them over. Very often, the local people donâ€™t really support them, but theyâ€™re terrified of them. And if you can give people security, then they will turn over the terrorists and they will be on your side. And thatâ€™s what weâ€™re seeing in places like Al Anbar province in Iraq, where the Sons of Anbar turned on al-Qaida and have essentially thrown them out. And weâ€™ve been able then to stabilize Al Anbar. Now, if youâ€™re going to do that, you have to have not just the ability to fight, but also the ability to bring that reconstruction effort. We call it the post â€“ the stabilization phase. And we have never had in the United States an institution that was really capable and dedicated to doing that, and it needs to be a civilian institution. Weâ€™ve done it in Bosnia-Herzegovina and Kosovo. Frankly, we tried to do it with the UN structures and that didnâ€™t work terribly– all so well. And then in Afghanistan we tried to do it with the Bonn process, which brought every country in the kind of adopt-a-ministry approach, so the Germans took one ministry, the Italians another ministry. And frankly, while the efforts were sincere and I think many of them good, it left us with some of the incoherence that we have today. In Iraq, we tried to do it by handing it to the Defense Department to do reconstruction and development. Of course, that worked not all that well either. I mean, we were able to do some things, but not as much as we should have done. So finally, Americans â€“ if thereâ€™s one thing we do, we keep going until we get it right. And I think weâ€™ve now got the right structure, which is a civilian structure that would be akin to the Reserve and the National Guard, where you have different kinds of expertise on call to go out and do reconstruction and development. Thereâ€™s no way in the State Department that I can have city planners and engineers and specialists on building judiciaries and specialists on police. You really, however, might be able to call up Americans — perhaps, that prosecutor whoâ€™s in Arizona and wants to spend a year helping the Afghan people to learn how to build a good justice system, or perhaps that city planner whoâ€™s in Montgomery and would like to go and help the people of Haiti or Liberia know how to do city planning. And so the idea is to have a civilian response corps, probably initially of close to 2,000 or so Americans, who would train the way the Guard and Reserve train, and then be ready when we need to do one of these stabilization efforts. And not only do I think it would be a wonderful call for Americans who want to contribute in that way; but frankly, this isn’t what the military, the Reserve and the Guard should be doing, and we’ve had to rely heavily on the uniformed military in order to do civilian stabilization and reconstruction because we’ve just not had the right institution. I think this is the right institution. It’s had no stronger supporter than Bob Gates and the uniformed military. And if Congress fully funds it, which we hope that it will, it should be really ready for its initiation phases very shortly. But thank you for asking. GENERAL LORENZ: Let’s go to the second mike on this side, please. QUESTION: Good morning, Dr. Rice. I am Group Captain, or Colonel, Iqbal, from Terminal 13 Air War College and Pakistan. Thank you very much for sharing your views about the region, especially Afghanistan and its neighbor, Pakistan. I just want to call your attention towards the recent developments which has happened in Pakistan; that means the country is getting back to the path of democracy. But traditionally, what we have seen, that U.S. is more — feels comfortable to engage with autocracy there. Because you know, about 30 years, in my country, the country has been ruled by the army. Now, you have a different stage. There is a broad-based government in Pakistan. So I want to — I’d like to hear your views about it, because many of the intellectuals here has given their opinion that now the U.S. policy should be engaging both the political as well as the other half, that is, the army. So what are your shares? Thank you very much. SECRETARY RICE: Thank you. And again, on Pakistan, you are absolutely right that the Pakistani people have made a transition. There is a broad-based Pakistani Government which we intend to engage, as the Government of Pakistan, as we would engage any other democratic government. In fact, Deputy Secretary Negroponte has already been to Pakistan to meet the new civilian leaders. I have spoken to a couple of them on the phone prior to the formation of the government. And we think this is a really terrific step for the people of Pakistan. They’re to be congratulated for doing it, despite a lot of threats from extremists and efforts to disrupt the elections, starting, of course, first, with the assassination of Mrs. Benazir Bhutto. Now, we will engage the armed forces in military training and in military cooperation in the way that we do militaries around the world, many of them from democratic countries. It is terrific that you are here. I think one of the most important things that we can do is to have military officers from countries like Pakistan here for international military education. We cut that off for a period of seven — let’s see, four years, which really, I think, was a very, very bad thing to have done, frankly, because we need to engage with all of the institutions of Pakistan. And Pakistan now will need to find a way to have very solid civilian control of the armed forces. I believe that our tradition of that is a good one, in which Pakistani officers can come and be a part of a democratic state in which civilian control is really now taken for granted, but wasnâ€™t always taken for granted, so weâ€™ve built the institutions of it. So we will engage across a broad front. As I mentioned in my remarks, I believe that the coming of a democratic government in Pakistan is a new strategic opportunity. It is an opportunity for an ally in the war on terror. But remember that our answer to terrorism is not just to fight and defeat the terrorists; it is to deal with the conditions that produce terrorism, and the absence of freedom is one of the conditions that produces terrorism. Perhaps the most important condition is the absence of freedom. And so when we see an ally in the war on terror makes a transition to democracy, it could not be more affirming of everything that President Bush believes about the power of democracy, the power of those principles, and their power to defeat terrorism long term. GENERAL LORENZ: Letâ€™s go to the last mike on this side. QUESTION: Good morning, Madame Secretary. My name is Lieutenant Colonel Edwards. Iâ€™m from Syndicate 17 at the Air War College. Could you please share with us the foreign assistance framework and how the combatant commanders can inject their theater and regional security concerns in that process, and how might that process be enhanced? SECRETARY RICE: Thank you. We have gone a long way to reform foreign assistance over the last several years, since Iâ€™ve been Secretary. And one of the reasons that we did it is that we believe that we were not able to bring all elements of our programs together to see whether we had the right elements to move countries along from total dependence on foreign assistance to the place that they were beginning to build the infrastructure and the environment in which perhaps they could begin to get foreign investment. Trade is a part of building that environment. And so we have changed our foreign assistance process. What we now do is we start by asking the question — letâ€™s take a country like Mozambique. Where is Mozambique on the economic continuum? What two or three things are standing in the way of Mozambique making a transition from totally dependent to eventually perhaps even able to be self-sustaining? Is it the problem with infrastructure? Is it a problem with subsistence farming? How can we make sure that the people of a country are seeing Americans out with them in the field, giving them the opportunity for healthcare, giving them the opportunity for education? Because, in many ways, one of our strongest foreign policy tools is the assistance that we give. Now, thatâ€™s where the combatant commanders and the Defense Department have come in. And indeed, when we do now our foreign assistance strategic look at what the budget is going to look like for that year, in my conference room I sit not just with the Assistant Secretary for, say, Africa and the Assistant Administrator for USAID, we also invite the Department of Defense to come and join that meeting, the Department of the Treasury to come and join that meeting, and so we get a full picture of what weâ€™re doing for any one country. The combatant commanders have also been enormously helpful because they are able to use their assets and their resources — I saw a great example of this in Guatemala, where there is a health clinic thatâ€™s being run by naval personnel on a kind of rotating basis. They come back every several months and they do healthcare at this clinic. I asked the question: Now, is USAID here alongside you so that when you leave three or four months, before you come back, perhaps weâ€™ve trained some local healthcare workers to help make sure that eventually Guatemala is going to be able to sustain those clinics on their own? But Iâ€™m a big fan of many of the programs that the combatant commanders run to help people with healthcare, with education. Theyâ€™re fine programs, and weâ€™re trying to unite them, link them up with the programs that we have at USAID and State Department programs so that the entire U.S. Government is going — putting its programs forward for a specific country as a unit — the entire U.S. Government. And I think weâ€™re making some progress. But I just have to say that one of the real contributions that President Bush has made is to take foreign assistance, which was flat for almost 20 years in the United States, and we have now quadrupled foreign assistance for Africa, tripled foreign direct assistance worldwide, and in Latin America doubled it. We have — we had the opportunity to see some of these programs in Africa, where the President’s Emergency Plan for AIDS is literally saving lives, where children are being saved from malaria, where girls are going to school in places that they’ve never gone to school, and the compassion of the American people in what we do around the world is coming through, through those programs. Because America is, and always will be, a powerful country. But what makes America different in the annals of the history of powerful countries is it is also a deeply compassionate country. And compassion, married with principle, married with power, is an extremely effective way to change, literally, the face of the globe. As I said, we’ve done it before and we’re doing it again. And I want to thank each and every you– every one of you for the role that you’re playing in that great historic transformation. GENERAL LORENZ: Madame Secretary, on behalf of the entire Air University community, let me thank you again for sharing with us today your incredible wealth of knowledge in international relations and national security. This has truly been a memorable day for all of us. Ladies and gentlemen, please remain standing for the singing of the Air Force song and the departure of the official party.